Since Kylie Jenner and Travis Scott got together in 2017, all anyone has been talking about is if they're having babies or getting married. And the couple doesn't exactly do a good job at debunking those rumors. Both parties call each other names such as "husband" and "wifey," and Ky kind of played with our emotions last weekend when she captioned a photo of the pair, "baby #2?" Fans are expectedly excited over the possibility the couple is getting married or having another baby, and we all just want answers at this point. Following rumors Trav was going to propose during the Super Bowl--which he performed at--many are dying to know what actually went down, especially considering Kylie posed with a huge rock on her ring finger that night. Did Travis Scott Propose to Kylie Jenner? Well, Kim Kardashian appeared on The Tonight Show With Jimmy Fallon, where the host asked her for the details. The reality star claimed she hadn't seen the photo of Kylie with the suspected engagement ring, adding, "I think she would have told me [of an engagement]. She’s pretty secretive, but I’m sure she would have told me. I’m not really sure. But I don’t think so." Mum's the word for Kim, expectedly. 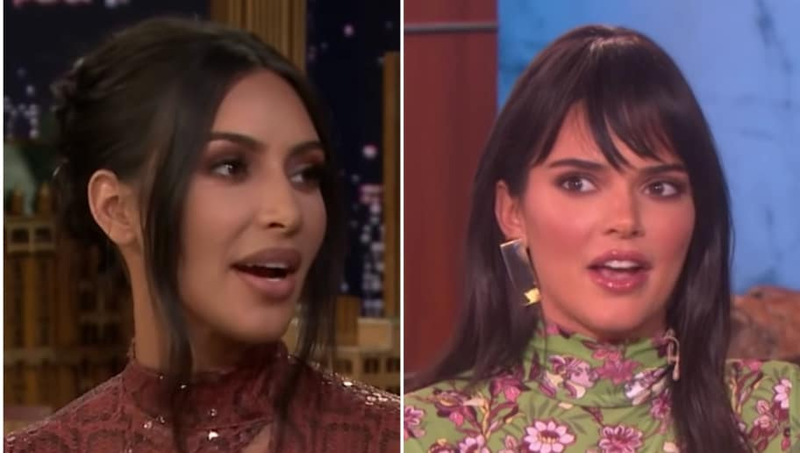 Conveniently, Kendall Jenner appeared on The Ellen DeGeneres Show this week, where she too was asked about the Kylie rumors. When asked straight up if her sister was pregnant, and if not, why she would write that baby caption, the model replied, "She’s not. I think she was just like, 'We are looking good and we’re really into each other and maybe baby number two is gonna happen.' They’re practicing, right? Is that what you call it?" Awkward! Kenny was also asked if Travis popped the question during the Super Bowl, to which she answered, "Not that I know of. Not that I’m aware of, so if he did, she hasn’t told the family yet. But I don’t think that has happened." It appears the family is just as clueless as us, or are simply acting like they are. Either way, it seems no one is speaking out just yet. We'll have to keep hoping Kylie finally gives us the info we've all been waiting for ASAP. We want an engagement at least!